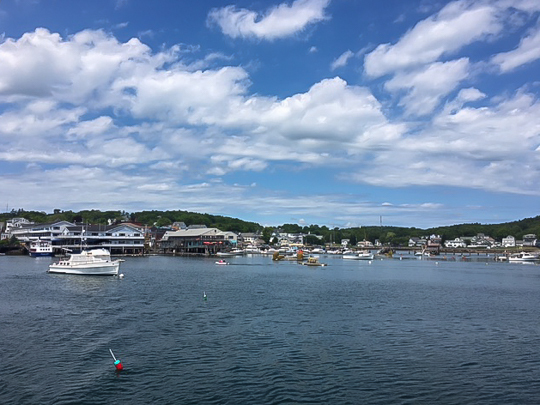 The Boothbay Harbor Fest will be back August 31st-September 9th and it's expanding this year with the East Side Vibe Arts & Music Festival (September 8 & 9). And the best news? We still have availability at Portside for September 1-8 and/or September 8-15! August is fully booked as well as September 15-October 10, but we do have availability October 10 onwards as well. I attended Harbor Fest last year and was amazed at the array of events, and more events are being added this year! I especially loved the Taste of Local Flavor, where a $15 ticket earned us tastings at 15+ restaurants in the harbor. You can see the full event calendar for this 10-day festival here. Follow Harbor Fest on Facebook here.